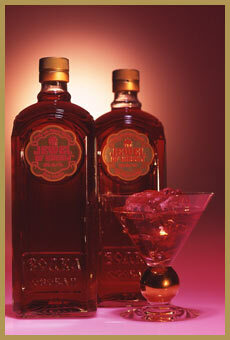 The recently arrived Jewel of Russia Infusions are unlike any other flavored vodka. The fresh wild cranberries and bilberries used to make the Jewel of Russia Berry Infusion are handpicked and then crushed and soaked in the vodka. the result is a spirit imbued with an intense fruit flavor and aroma. Blindfolded, you would be hard-pressed to identify them as vodkas. One reason is that they are relatively low in alcohol - between 20 percent alcohol by volume - which allows the flavor components to remain on the palate longer. Another reason is the slow steeping process.